Day Trip to Ait Benhaddou & Ourzazte. 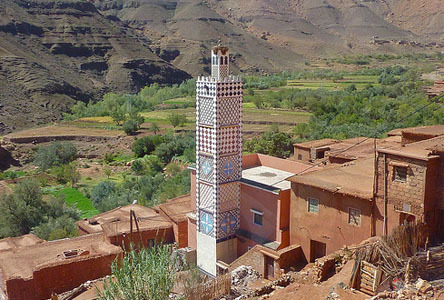 A 1 day shared tour to Ouarzazete and Kasbah Ait ben haddou. The tour starts from Marrakech at 7:00 am with approximate return time around 6:00pm. 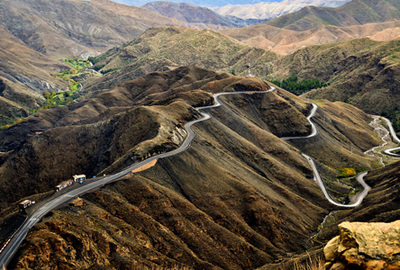 The tour goes over the Atlas Mountains, so you will be able to enjoy beautiful landscapes with local villages and elevated scenery of the surrounding areas during your journey. 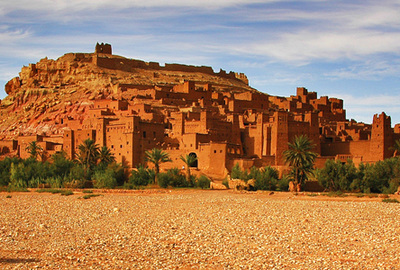 After 3 hours driving we will reach Kasbah Ait ben Haddou, which is an ancient building to explore. When reaching Ouarzazete, we will have a tour around the city, having a look at Kasbahs and the beautiful surrounding area. Ouarzazete is a popular film making location. You will have an opportunity to visit film studios and even enjoy a lunch or aita coffee at the studio cafe hotel. When visiting Ouarzazate, very often there is a chance to see international and even Hollywood film crews shooting a movie. Films such as Lawrence of Arabia (1962), The Living Daylights (1987), The Last Temptation of Christ (1988), The Mummy (1999), Gladiator (2000), Kingdom of Heaven (2005), Kundun (1997), Legionnaire (1998), Hanna (2011), and Salmon Fishing in the Yemen (2011) were shot there. During the· tour, we have a lot of things to see and to do during your day. This Day trip runs all year round and can depart at any date of your preference. We usually have several trips departing each week that you may join if you are a solo traveller , please get in Touch! !.